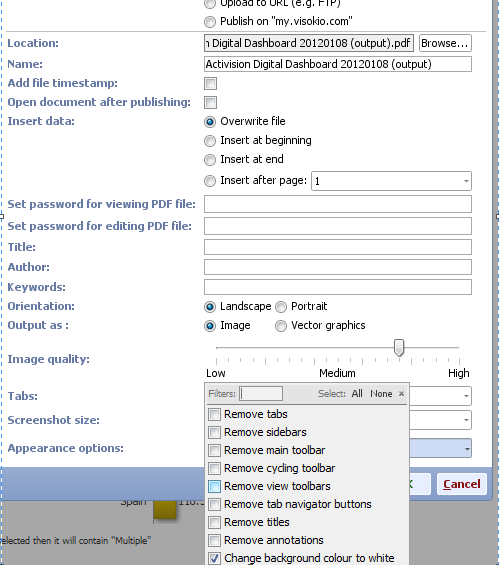 Can we please have disable background as one of the options before exporting the file as pdf or screenshot? To make the background white open "Advanced options" and then "Appearance options" in PDF export dialogue. Then tick "Change background colour to white" check box on the drop-down panel. It shall remove the background when you export to PDF.